Perhaps you read the article in the New York Times last month (Saturday, May 12) titled: Writer’s Cramp: In the E-Reader Era a Book a Year is Slacking. I can remember not too far in the past when the publication by a favorite author was an event that one eagerly looked forward to, as much as a special birthday or holiday. Just as music fans anxiously awaited the latest record to come out from a revered singer or band, so too did readers their favorite author’s new work. And, the fact that it might be three or four years’ interval between the release of his or her novel did in no way diminish the author’s appeal. In truth, it had the opposite effect. The book’s much anticipated arrival in the stores became an event of great significance. I’m sure you can recall exactly where you were when a particular book was published, what year it was, and what time of year as well. You can also remember how you rushed to your favorite local bookstore to make this much-coveted purchase. I am also sure that that particular title still sits on your shelf today. I am not here to tell you what you should read, how you should read or with which device, in the bath, in your hammock, or hanging upside down from the rafters. But, I do wish to point out the time-honored truth that quantity does not equal quality, and moreover, the greater output from authors might in fact create the opposite effect than what their overzealous publishers intend: that in fact an overly-prolific writer’s significance might diminish in readers’ eyes rather than increase. If everything becomes so accessible that it can be downloaded on demand, it loses its allure and ceases to be of value. And, I’m not going to argue for or against e-books and e-readers which are obviously here to stay, and are now as much a part of a fixture in our business as the MP3 was to the music business a few years ago. We are of the digital world, and that clearly is not going to change. However, when we are bombarded with such a multitude of choices, and can download thousands of titles or as many as the device can hold, what significance then do these books and their authors hold in our lives? I had a conversation with an agent friend of mine recently who told me of a colleague who had just sold the entire backlist of an extremely prolific author (deceased) for a line of e-books. Now that people can download an author’s complete oeuvre in minutes for a couple of dollars for each title, they can afford to be completists. Never mind the fact that they may never get around to reading every book in the series; they have purchased them, and both publisher and author will suffer no returns would the case in the traditional publishing model. This of course is one of the vast benefits to digital publishing as we well recognize. My only caveat to this is that we as publishers run the danger of measuring a writer’s work and worth solely in terms of sheer volume and mass production. I seriously doubt, as this article seems to imply, that today’s readers are so fickle, and have such a limited attention span that they would sooner read someone else rather than stay loyal to their favorite author. Does this mean then that book publishers are falling prey to the assumption that their audiences are no longer comprised of readers but consumers? We must ask ourselves as we hurtle forth into this new age if we are losing not only the intrinsic value of the physical book itself, but the value of readership as a whole. 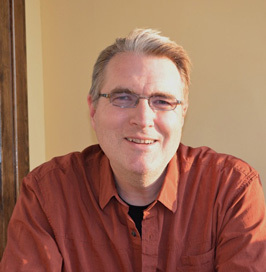 Tim Schaffner is founder and publisher of Schaffner Press in Tucson, AZ. DISCUSS: Are Super Prolific Authors Damaging Their Careers?